I’ve mentioned when I got my Nintendo Entertainment System (NES) I had very few games. 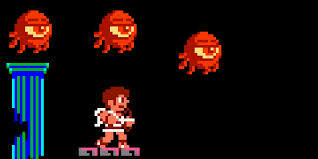 I had Super Mario Bros, Metroid, Excitebike and Kid Icarus! 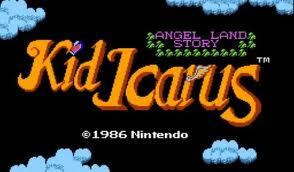 Kid Icarus was one of the anchor games I did have, released North America, around 1987. Apparently, and I didn’t know this at the time, there was a sequel game called Kid Icarus: Of Myths and Monsters in 1991 for the GameBoy, but I never had a chance to play the game. 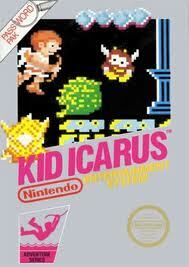 Kid Icarus is also available on the Nintendo Wii Virtual Console. NES had a really interesting mix of games with Super Mario Bros, Metroid and Kid Icarus since you have an mushroom/acid trip, a sci-fi / shooter and an ancient Greece mythical story. Where did Nintendo get these game ideas from? The story is pretty simple, you play as Pit, you’re on a quest to recover three sacred treasures which will allow you to defeat Medusa, and save the goddess Palutena in the sky temple. The game had this sorta mythical feel to it, but nothing so much that you thought you entered a video game version of “Clash of the Titans” which was at the game the closest thing I had as a reference point for ancient Greece. That’s also the most relevant reference I had to Medusa at the time I played the game in 1987. One of the worst parts of the game is a constantly moving pit of death.. The game screen scrolls both vertically and horizontally, so as you move vertically up the screen, the area you just came from becomes a death trap. As you move upward, you never really get a break, because every time you go up, the bottom of a screen becomes a black pit of death! So annoying! I can understand giving the limitations of the games at the time, but you can’t imagine how many times I fell to my death because I missed a jump, only to fall into the blackness of an area I JUST JUMPED out of!! And the screen just moves up with you, up and up! Following your every movement up the screen. Super Mario Bros had a very similar limitation on the game, but the action progressed from Left to Right, so you couldn’t fall in to place you just came from like a God-damned death trap! WTF! The second thing I remember very well from the game is the music in the temples, that “dumpy dumpy dumpy, loopy loopy loopy” over and over and over. And the music just never stops! It’s an endless loop of the same songs for each level. Within the temples, the “Eggplant Wizard Brothers” would toss little purple pod, which (if they hit you) would turn you into an “eggplant” with legs. This left you defenseless, so you in order to save yourself, you’d then have to find a healing pool hidden within the temple to be returned to you normal state, was soooo annoying. Many times, just randomly I’ll be sitting around the house and the music from Kid Icarus, specially the music from the temples will start running through my head. UGH, I hate that damn song, and no one really knows what it is when I start singing it. Despite my dislike of it being in my head, I think one day when I’m old and grey, I’ll be sitting in the old folks home trying to remember why that song is stuck in my head.